– Raising Cane and Other Stuff | Method in my Madness or How I learned to clean my glasses. Home » My Life » Method in my Madness or How I learned to clean my glasses. Method in my Madness or How I learned to clean my glasses. This tale begins about ten years ago at the Blossom Music Center in the Great State of Ohio near Cuyahoga Falls. 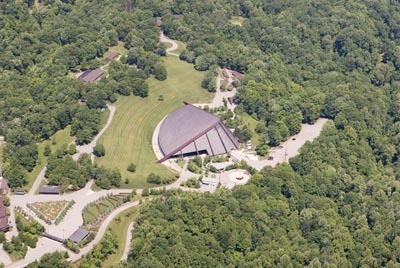 My daughter Amy had arranged to have the family gather at Blossom for a treat for my birthday that year. I really can’t remember which year. This fact really has nothing to do about why I wrote this post, but an interesting follow on is that a few months ago I was visiting that same daughter as we were celebrating her daughter’s birthday. We stayed over for a few days. The two events together can be coupled together to help the reader understand my thought process. There is method to my madness. Let’s go back to blossom. I was in the little boy’s room which is a euphemism for I was in the loo. Following my tinkle I needed to do my ablutions or the washing of myself so as not to be seen not washing myself by people I did not know. It was my habit and still is my habit that I wash my glasses, assuming they are unclean at that moment with running water and that weird pink or green fluid that one can pump from those wall mounted dispensers. We have all experienced the whispering of a child where rather than speaking more quietly simply speaks with his hands cupped over his mouth. He believes that only the person that can hear the words is the person to whom the cupped hands are aimed. Even my insensitive ears heard him say “Dad! Dad! That man over there is washing his glasses in the sink.”. His dad and I each had the knowing look that we had both heard what the little boy had said and we each smiled in that simple way that people do when each understands what the other is thinking. What the heck does this have to do with my tale, you ask. Washing one’s glasses in this way leads to the capturing knowledge that can benefit the one who is doing the capturing and others with whom he shares the accrued knowledge. At this moment, this is you, the reader. I have always found that washing under the tap and holding the lens twixt my fingers with a little soap or detergent has worked very well and the resultant glasses are inexplicably cleaner than when I use one of those fancy store bought liquid and those special pads or wipers. Staying over in my daughter’s house led me to try method foaming hand wash. I don’t know what this stuff is but it should be labeled world’s best eyeglass cleaner. All I did was put a little foam on my fingers and thumb. Wipe the lens of the glasses between my fingers and thumb under a tap with slow running water. Within a couple of seconds the lens was clean and my fingers and thumb were squeaking as I massaged the lens. As they say, the lens was squeaky clean. I simply used a clean towel to dry the lenses, I have found that most tissue products have some fancy smellerant or lubricant to help one’s nose remain unscathed. Those chemicals will smear on a clean lens so don’t use tissues other than the really cheap one where no smellerant has been added. The cheaper the tissue the better it is. Do not use method hand (non-foaming) wash. It does work but it takes a little longer to get the solution off the lenses. It took me a while to get here. I hope you enjoyed the ride. If you didn’t then please ask all your friends to read this so they can tell how boorish I can be. If you did like it then please ask all your friends to read this so they can tell how clever I can be. Q1: Why did I use a lower case ‘m’ for method which is a brand name. A1: Because the maker does. Q2: Does it matter what flavor I buy. A2: I haven’t a clue, the three or four I’ve tried all give identical results. Q3: How long will a bottle last? A3: That depends entirely on how many times you operate the pump and how far down you press it. Q4: Should a condom be worn while cleaning my glasses? Q5: Check with your spouse or lover. Personally I don’t was my glasses while I’m making out. Q6: How much is in a 10 oz bottle? A6: Roughly 25% more than what you would find in an 8 oz bottle. 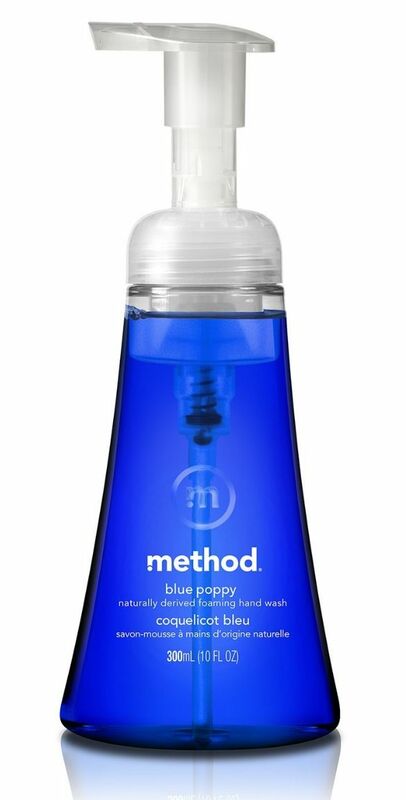 Q7: Can I use this hand wash on other parts of my body. A7: I see no reason why not. You can expect it to be a lousy lubricant if you were thinking what I think you are thinking.